When you first look at these photos you might think they are beautiful images of a Chameleon on a vine, but look closer. Do you see it? The images are actually 2 women with body paint. 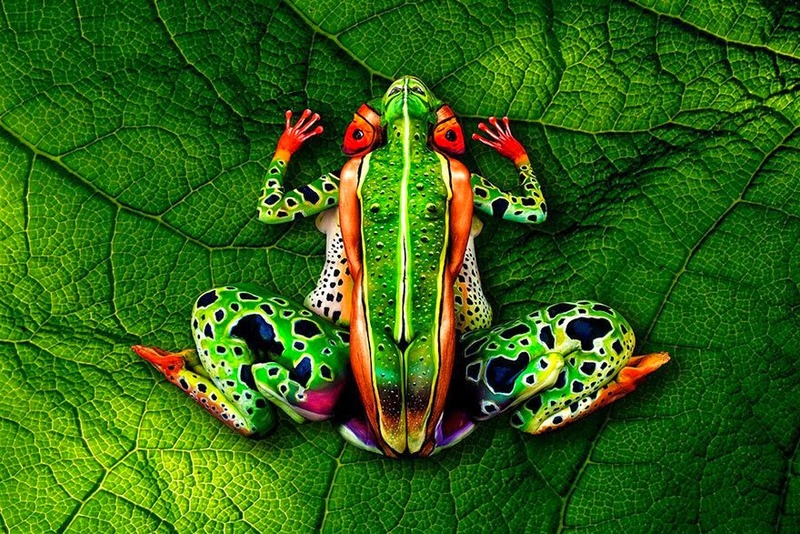 The artist, Johannes Stötter, is an incredibly talented body paint artist from italy, and he might arguably be the most talented body artist on Earth. It took Stötter nearly 4 hours to design the piece and 6 hrs to actually paint his ideas on the women. He skillfully blends the models’ lines and curves or uses them to supplement the forms he’s creating. Here’s another piece we thought you’d enjoy from Stötter, notice the 3 women. Simply amazing. If you enjoy his work as much as we do, check out his website, www.johannesstoetterart.com, and his Facebook Page.